Cypress Park — Los Angeles is known for many things, but coffee production certainly isn’t one of them. Rarely do you find a mature coffee tree in the region because the climate makes it hard to produce. That’s what makes the lush, decades-old coffee tree standing in the corner of Alejandra Avila’s Cypress Park backyard so unique. 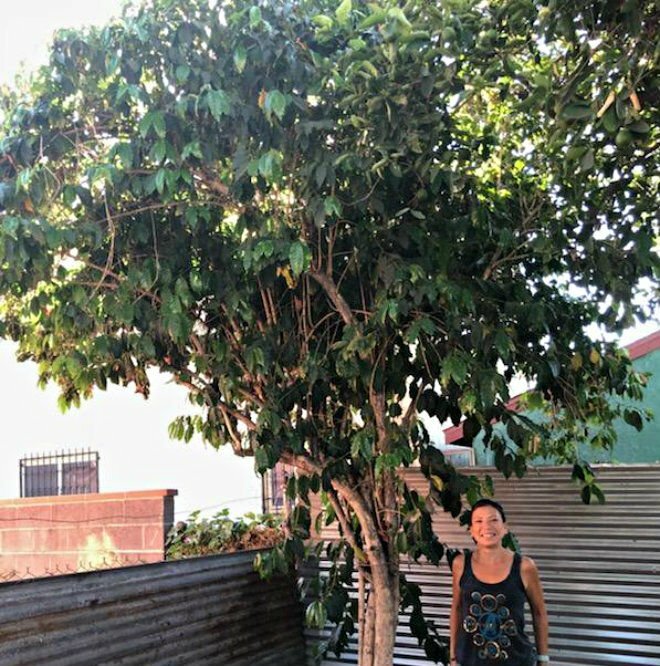 But it’s not the only reason why this tree is so special — it’s a living reminder of Avila’s father, who tended the tree for decades but never ever sipped a coffee made from its beans. Last month, Avila posted a picture to her Instagram account of the tree’s first beans that were picked and then roasted and packaged by the Los Angeles-based coffee chain, Tierra Mia Coffee.